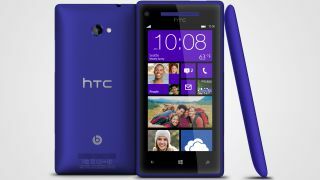 HTC may have chucked plans to build a 5-inch phone using Microsoft's Windows Phone 8 platform due to display quality concerns. Bloomberg spoke with a person familiar with the project, noting that the Taiwanese manufacturer feared lower resolution on a stretched out phone would have done poorly next to competitors. According to the publication's source, Windows software doesn't support as high a resolution as Android on larger phones. HTC already makes handsets with 5-inch displays using Google's OS, including the J Butterfly (Droid DNA on Verizon in the U.S.), which runs Android 4.1. The problem, from HTC's end, lies in resolution restrictions present in the WP8 software. The software only supports resolutions of 720 x 1280 on devices like HTC's Windows Phone 8X, which, with a display of 4.3-inches, looks almost as sharp as Retina. The 5-inch display on the J Butterfly, by comparison, is a stout 1080 x 1920. According to Bloomberg's source, HTC figured a larger-screened yet lower-res Windows Phone 8 device wouldn't stack up to Android devices it and manufacturers like Samsung already sell. HTC is struggling with just 4.6 percent of the global smartphone market under its belt in the third quarter, with stocks having dipped 45 percent total over the last year. During Q3 last year, the company commanded 10.3 percent. On the bright side, the firm is gaining ground in the U.S. market with its larger 5-inch displays sporting full HD, Bloomberg noted. HTC's decision to shelve a 5-inch WP8 handset looks to be a smart move as making poor investments and incurring reviewer wrath isn't what it needs right now. Microsoft also reportedly restricts which processors manufacturers can foist on devices, another factor that could be causing HTC to lean towards Android for its high-spec phones. TechRadar asked HTC and Microsoft for more on the matter and was told by both companies that neither would comment on the rumors.